I love New Year as this is really the time that I get to shop for myself as my Christmas shopping is dedicated to buying gifts for my family and friends. Itâ€™s been my ritual to start the year looking for great value finds for ME. So far, I got an awesome deal of 25% discount on my new digital camera and was able to buy imported make-ups and lotions at 50% off! Just when I thought my finds couldnâ€™t get better, I saw this big ad for Free P2,000 worth of Nike apparel with a new EastWest Bank credit card while shopping in the mall. I got so excited as Iâ€™m planning to buy new running shoes that I can use for jogging to shave off pounds I gained over the holidays. I quickly checked their website and applied online! 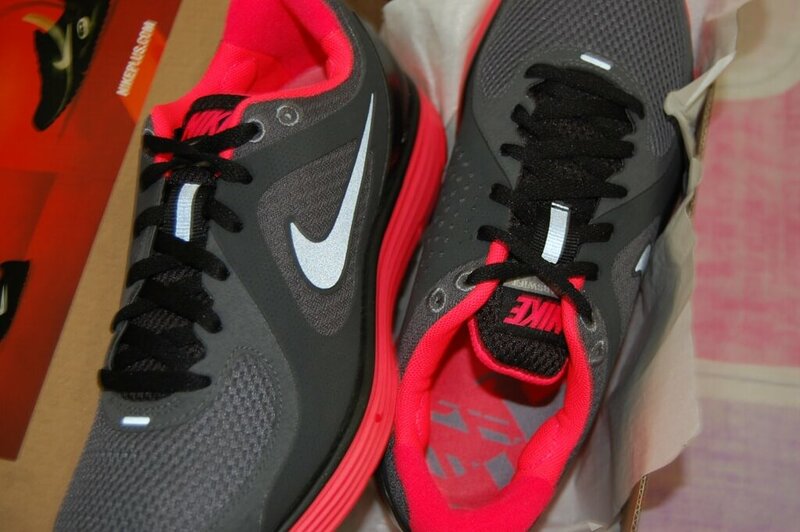 Canâ€™t wait to get my card and buy my NIKE shoes thanks to my new EastWest bank credit card. Mhuahh to New Year and great deals! 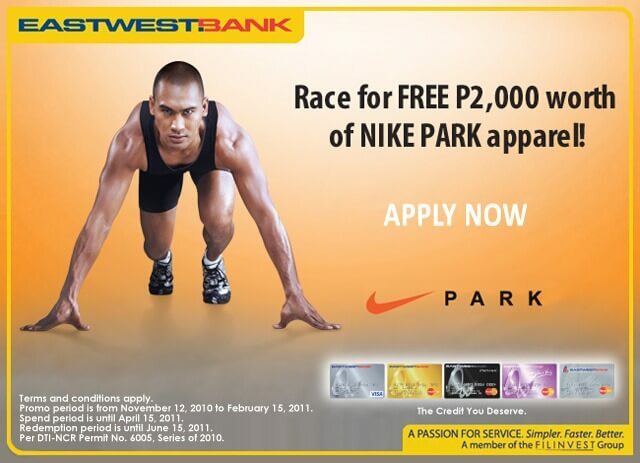 Hurry, you can still catch this free P2,000 worth of Nike Park apparel promo of EastWest Bank Credit Card if you apply through their website on or before Feb 15. I usually make the most out of the free stuff I can get and while most department stores are still on New Yearâ€™s SALE right now, I say take advantage of all the sale items including Nike Park apparel and use the free P2,000 worth of Nike Park gear with your EastWest Bank Credit Card. Most people are now into getting fit and have different ways to shape up. I already signed up for a few races for the New Yearâ€¦ join ME! Also, people rush to the gym on the first month of the year because everyone is trying to stay faithful to their New Yearâ€™s resolution. Itâ€™s time to shop for new clothes, new gadgets and gym/sports apparel. Itâ€™s time to invest wisely in your goals for the next year. As for me, getting my body fit, taking care of my skin and health and shopping for the stuff that makes me look good are on top of my list for myself. I am also planning to upgrade my Nikon D40 DSLR for my photography. What are your priorities for the next year? Ever thought about your New Yearâ€™s resolution yet? Share them with me on the comments below. *This is a sponsored post for EastWest bank.